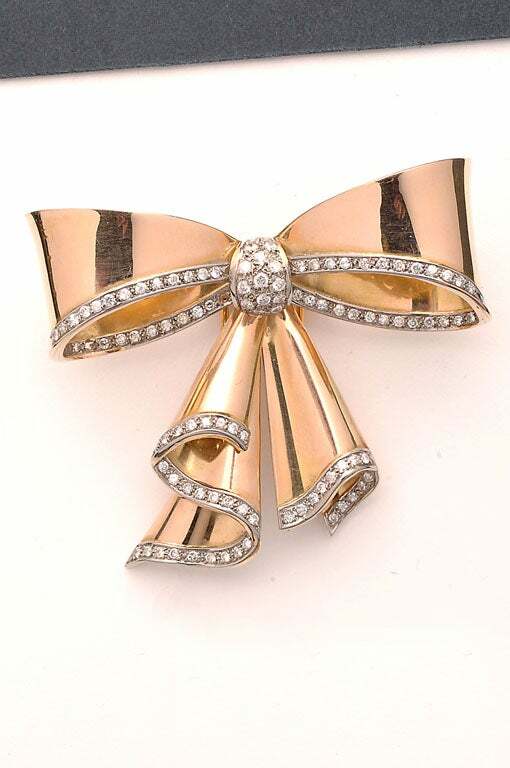 Retro fourteen karat gold bow pin with diamonds. 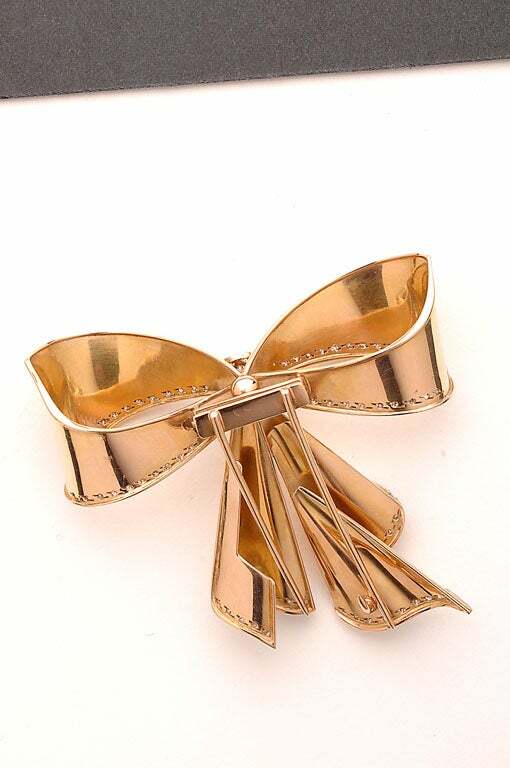 Gold beautifully formed to give the effect of draped fabric. H 2 1/4 in. 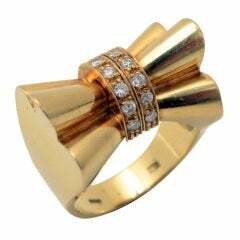 x W 2 1/2 in. 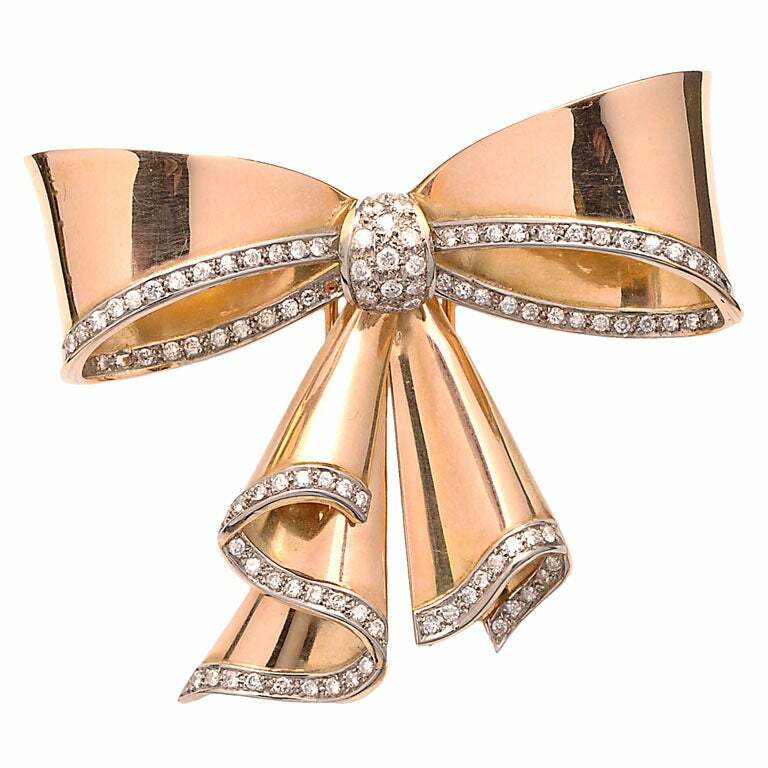 Eighteen karat gold and diamonds Bow Ring that is totally Retro in design. Very sculptural and interesting from all angles. It is size 7 but can easily be sized up or down. 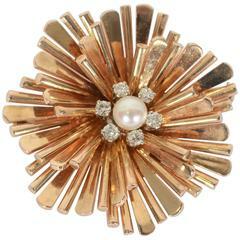 An unusual geometrical design brooch by Cartier, made in 18K Yellow Gold and highlighted with diamonds. 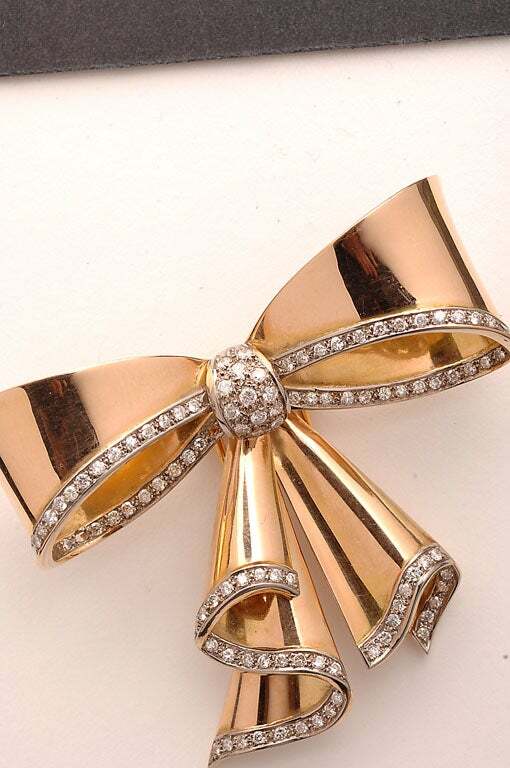 Made in France, circa 1950s.